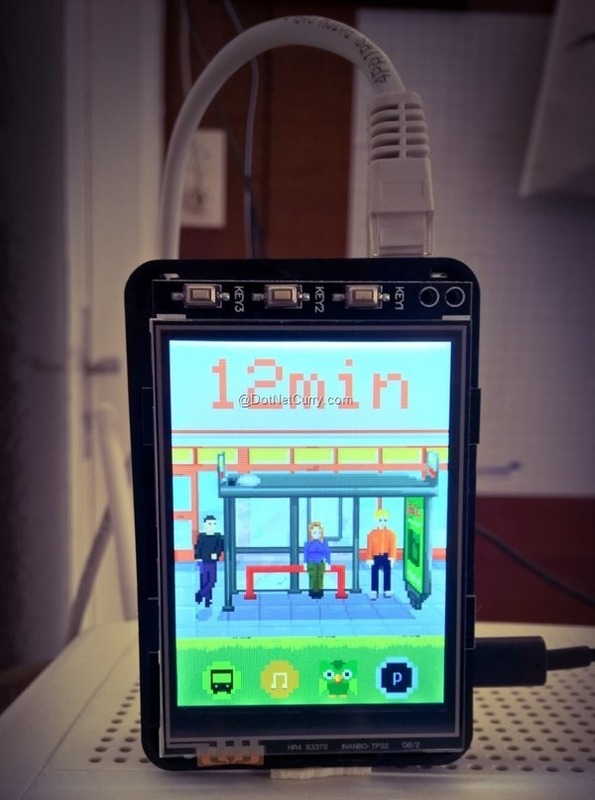 Abstract: A Windows 10 IoT app running on Raspberry Pi2 to show the next Bus schedule. This article is an extension to the first part HomePi - A Windows 10 & Raspberry Pi 2 IoT app [bitly.com/win10pi2]. Previously, we looked at the parts required, added Display/Touch drivers and also added a small code snippet to display current weather information. This is part two of our quest to build our Home Pi Windows 10 IoT project. In this series we will add the remaining features and make our app interactive. Here is the complete app displaying the next Bus schedule. In the above code, we have added a new Media Player element and this will be used for Audio play back. MediaEnded event will automatically play the next track once the current track is complete. Even though Home Pi has four screens (Next Bus, Weather, Music Player and Power Control), we will use a single XAML file to manage all four screens. Add the following enum values to the class. Whenever a menu icon is pressed, we will use the enum values to identify the current page and display information accordingly. This page also has some methods that are detailed here. Please read this article along with the source code to understand these methods in detail. appTimer: This timer is used to display the count down for the next bus, and runs every minute. 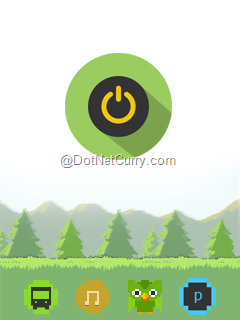 touchTimer: This timer executes every 50 milli seconds and constantly checks for Touch Inputs. This method gets the x, y coordinates and the pressure value of the touch input using getTouchX (), getTouchY() and getPressure() methods in Touch processor class (refer previous article about Touch and Display processors). To avoid processing accidental touch inputs, only pressure values greater than 5 are processed and rest are ignored. CheckAction method is used to process the touch input. This process is repeated every 50 milli seconds. This method shuts down Raspberry Pi using the ShutdownManager class. PlayMusic() method loads a list of likes from Sound Cloud and starts playing the first track in the list. Utilities.GetLikes method is explained shortly. This method sets the currentPage value, loads a new background Image and gets the schedule for next bus in minutes to displays it on screen. Number of minutes is updated every minute using AppTimer which runs every one minute. This method displays an image with a Power icon and touching the power icon will shut down the Raspberry Pi using Shutdown() method. CheckAction() method takes care of processing touch input and checks if it lies within the Power Icon area. This method loads a new track in the Media Player and starts playing the current track. This method gets called automatically when the track has finished playing. Global counter nowPlaying is updated and next track is loaded. It will also reset the counter to 0 to start playing again from the first track, if there are no more tracks to play. This file has some extra methods and classes that are used for Sound Cloud and Next bus service calls. In this method, I make a call to my local transport API (Vienna, Austria) to get a list of buses from one point to another. I have hard coded the values for origin and destination. This API returns the next 5 buses as JSON string and I use Newtonsoft JSON library to get the first next bus and check if it arrives in less than 2 minutes. If so, return the second bus. Remember, it takes 2 minutes to walk to my nearest bus station. You can replace this with your own transport API or any other service for which you need a countdown for.